Cleveland survivors Amanda Berry and Gina DeJesus will be in Washington DC the first anniversary of their escape, along with Michelle Knight, from Ariel Castro’s house after a decade in captivity. Amanda Berry and Gina DeJesus will be at the National Center for Missing and Exploited Children will honor them at its annual Hope Awards Dinner. The center said in a news release Thursday that it is honoring Amanda Berry and Gina DeJesus for “their courage and resilience and for giving hope to families still searching for their missing children”. 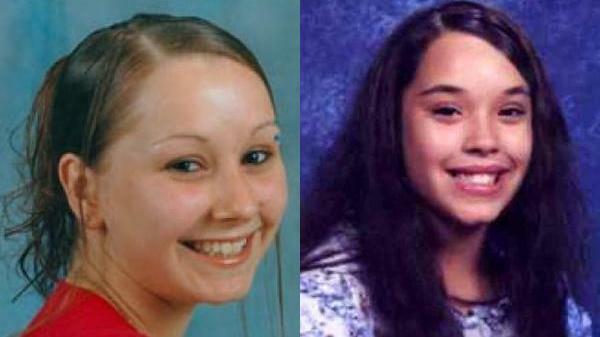 Amanda Berry was 16 and Gina DeJesus was 14 when they were abducted. Michelle Knight, who was held the longest, was 21 when she was reported missing. The center focuses on the exploitation of children and that is why only Amanda Berry and Gina DeJesus are being recognized Tuesday, though the center has acknowledged Michelle Knight’s captivity in its news release. The anniversary of their freedom has received wide attention. Amanda Berry and Gina DeJesus have not yet talked publicly about their ordeal. They have been collaborating on a book with Pulitzer-Prize winning journalist Mary Jordan of The Washington Post, who is from Cleveland. Amanda Berry and Gina DeJesus’ book is expected to be published next year. Michelle Knight, who discussed her abduction at length on psychologist Phil McGraw’s talk show last year, is expected to release her own book in the coming week.